This is the production supply for Malaysia client , for Petroleum Equipment & Machinery . Material is SA387Gr22Cl2 , material from steel mill HBIS . Dish head size is EHA*3200*105mm thick . Manufacturing method : Hot Press . The material certification shall be inaccording with EN10204 - Type 3.2. All plate material shall be full killed . All plate should be supplied in Normalizing and Tempering condition . Machanical test shall be carried out transverse to the rolling direction and at 1/2 location . Test speciments shall be comply to SA20/ SA370. The dish heads shall be formed with a 2:1 true elliptical shape . 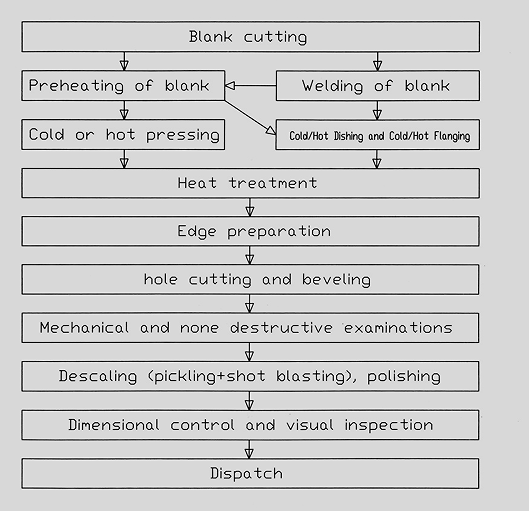 Heat treatment in Normalizing and Tempering condition . 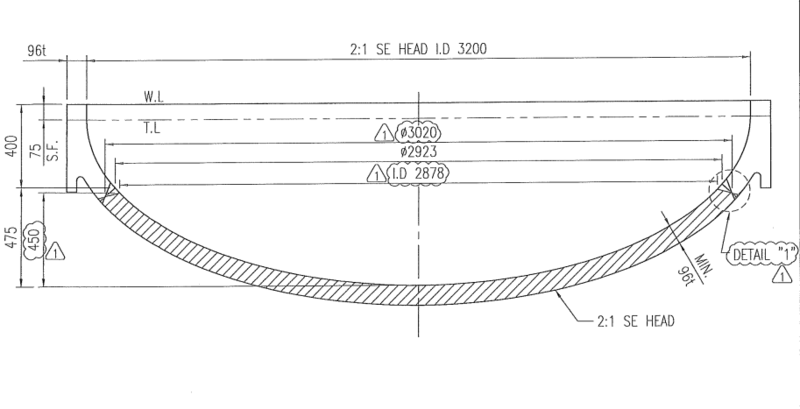 The weld seam should be RT piror forming , after forming and after heat treatment . Looking for ideal Petroleum Equipment Use Manufacturer & supplier ? We have a wide selection at great prices to help you get creative. All the Hot Press Progress are quality guaranteed. We are China Origin Factory of SA387Gr22Cl2 Special Material. If you have any question, please feel free to contact us.